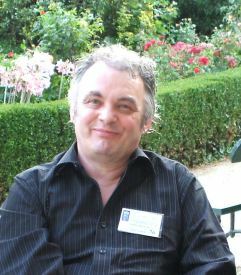 Adam McLean is one of the great figures of Tarot in the contemporary internet world, although he's better known as a specialist about alchemy. Occasionally one can meet him at Aeclectic. He's best presented by his various websites and biographical notes are given by the English Wikipedia. He's author of many books, Tarot card collector and designer and publisher etc. ... well, he's rather active.